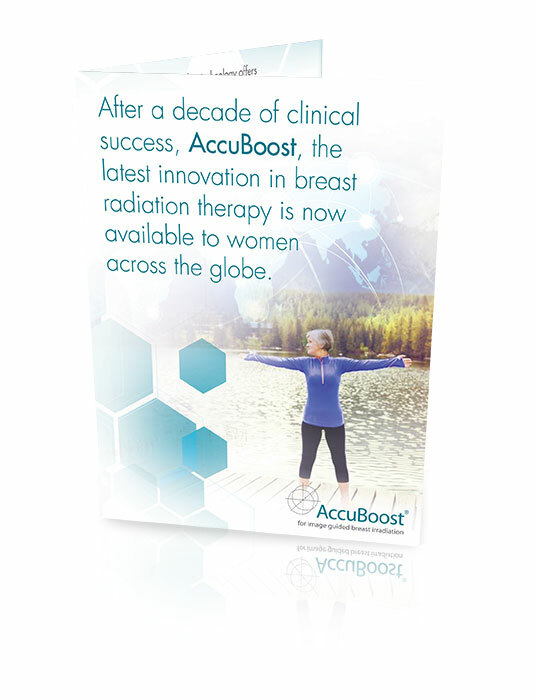 After 10 years of clinical success, AccuBoost is now becoming available for deserving breast cancer patients throughout the world. The non-invasive nature and the reliance on cost-effective HDR brachytherapy make AccuBoost particularly well suited for developing economies around the world. Fill out the form below to receive the International Brochure.